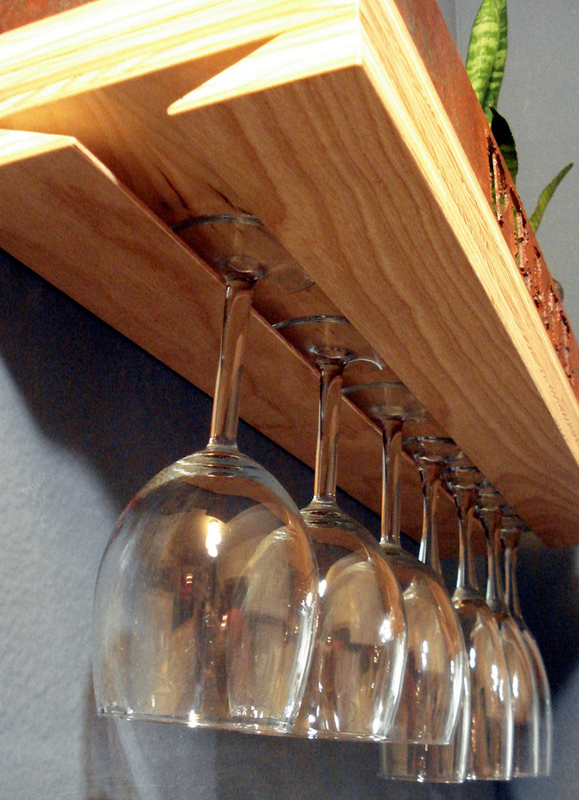 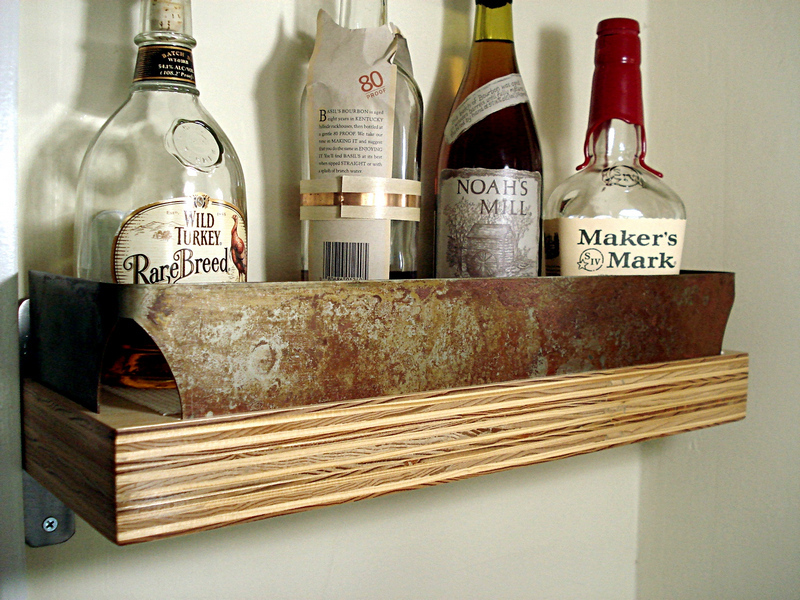 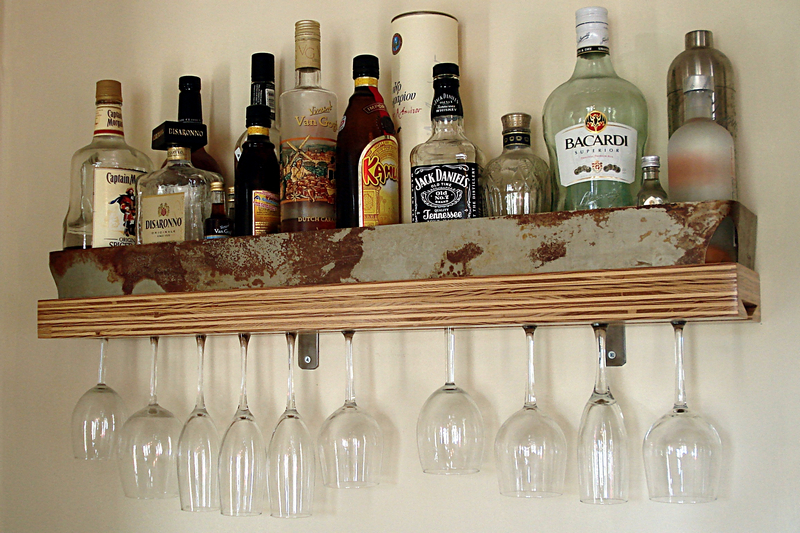 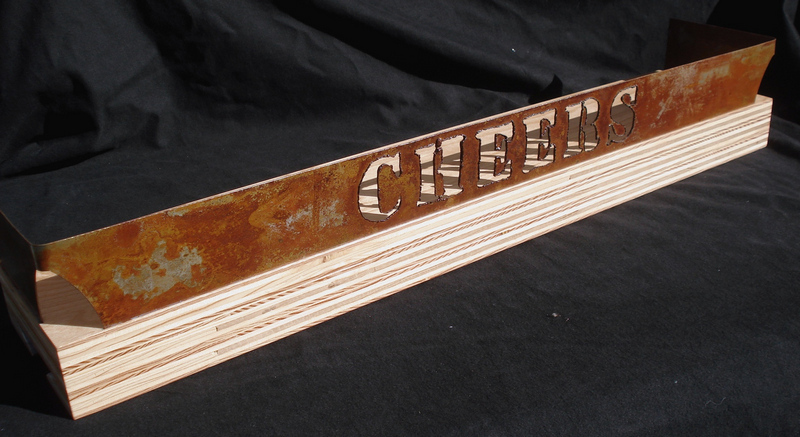 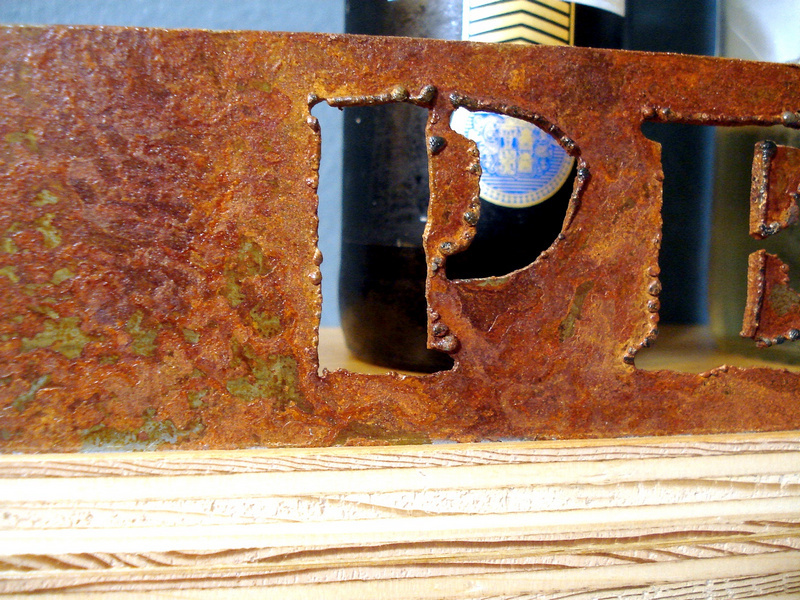 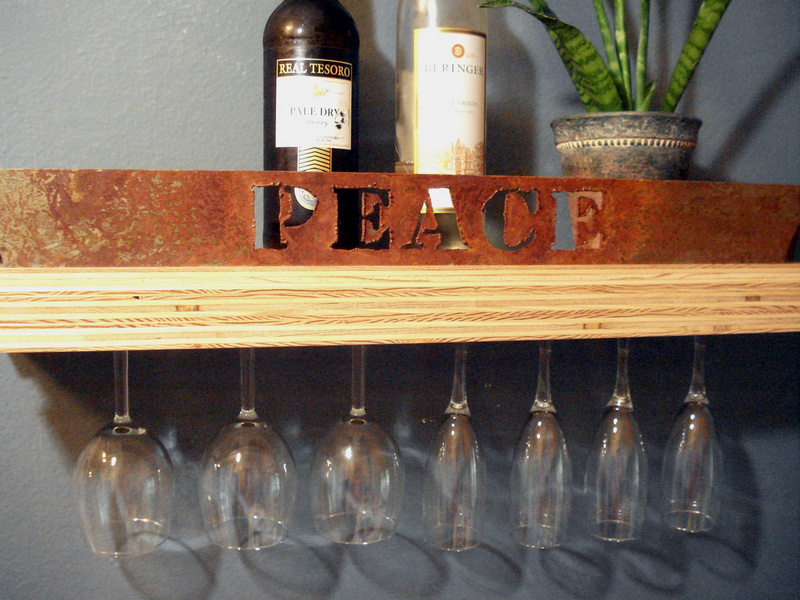 Made from reclaimed material. 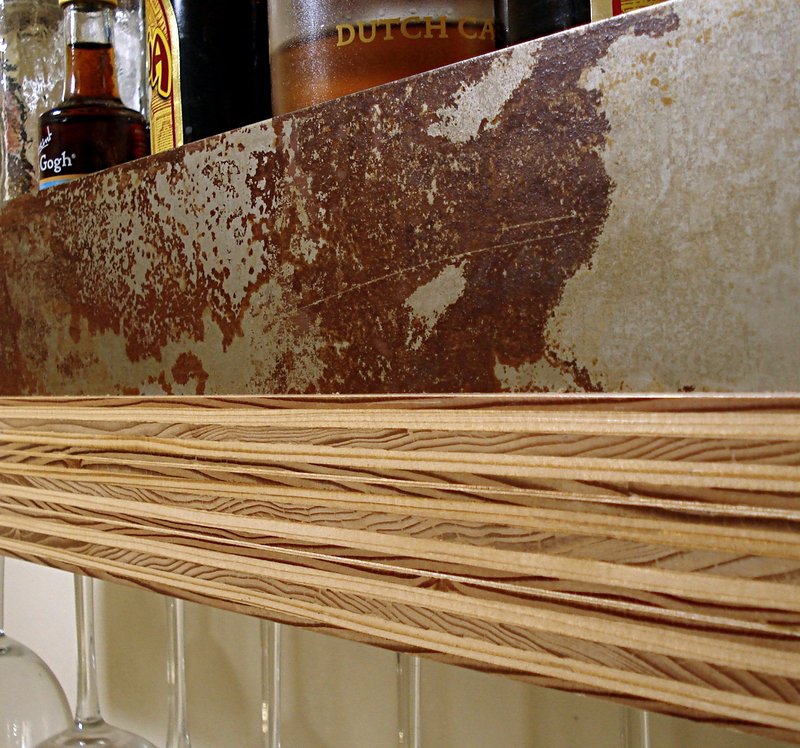 Figured faces are paneling salvaged from an old commercial building with scrap popular and maple making up the light-colored wood. 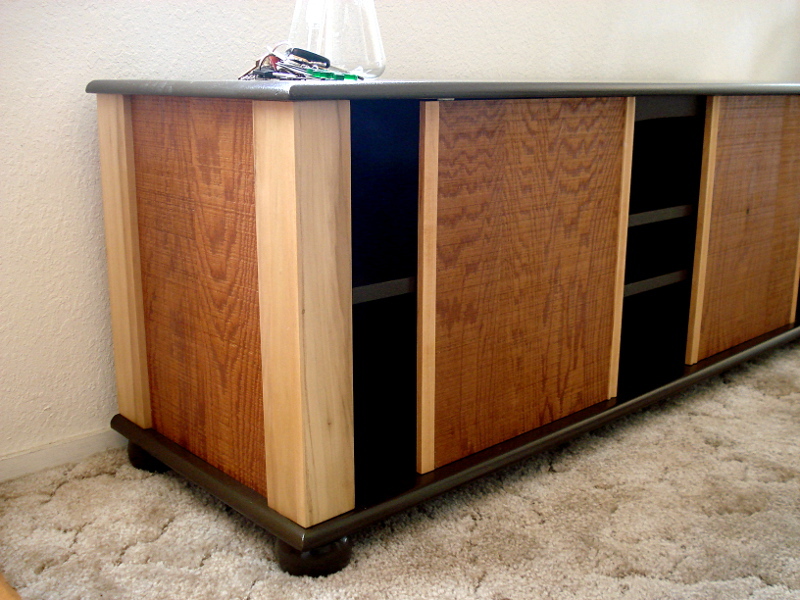 Top, bottom, and shelving are all plywood rescued from the trash. 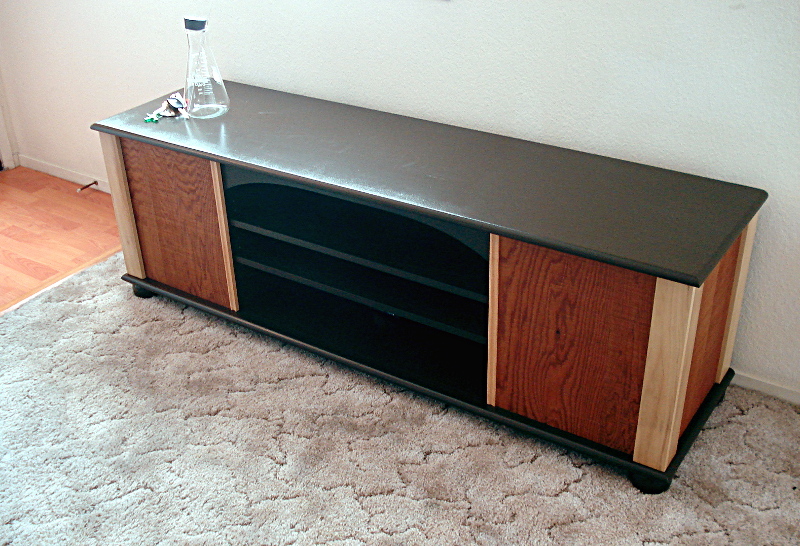 Painted with a dark chocolate color from Benjamin Moore. 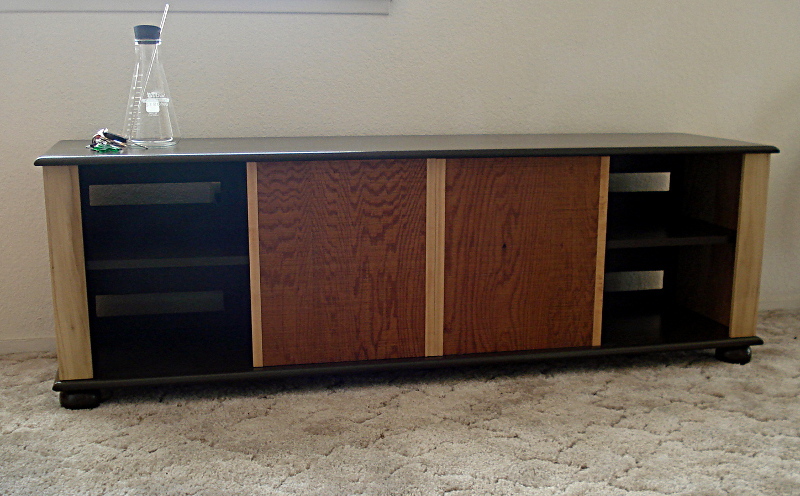 This entry was posted in Wood and tagged Maple, Oak, plywood, poplar, reclaimed, shelf, stand, table on March 27, 2015 by Wiskow. 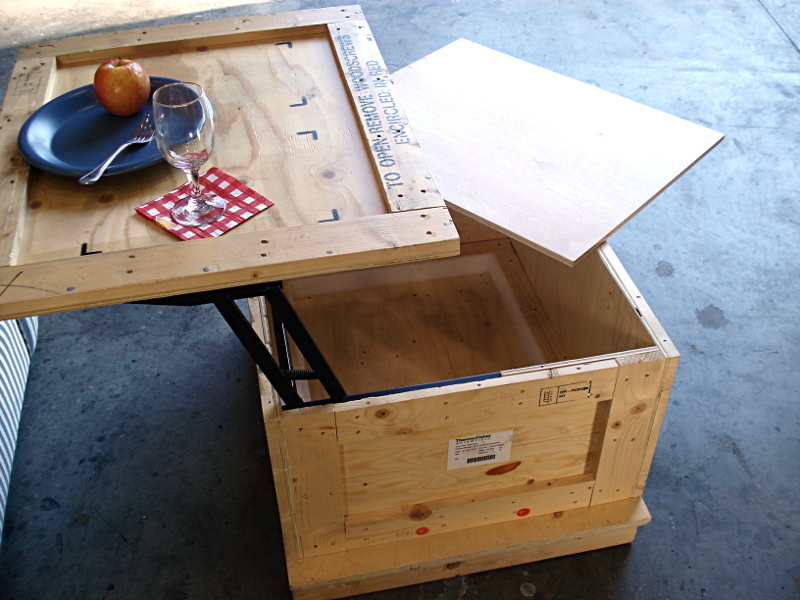 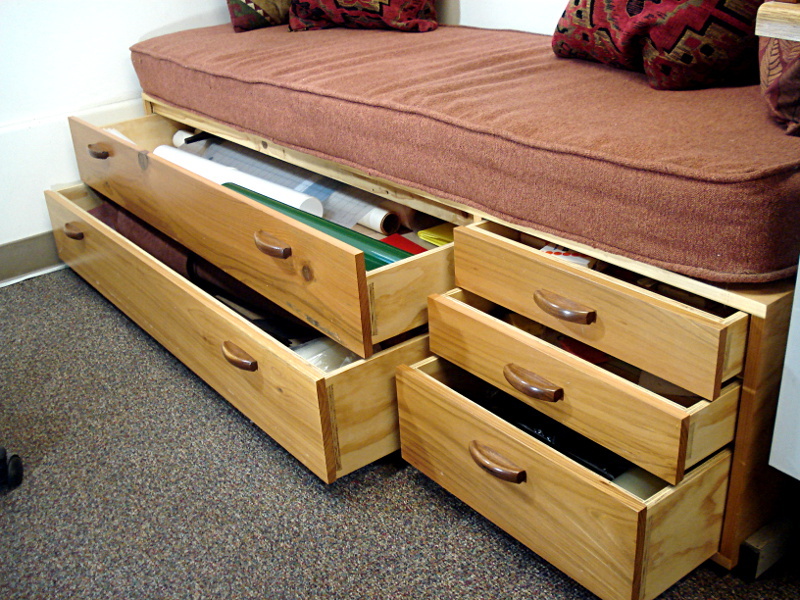 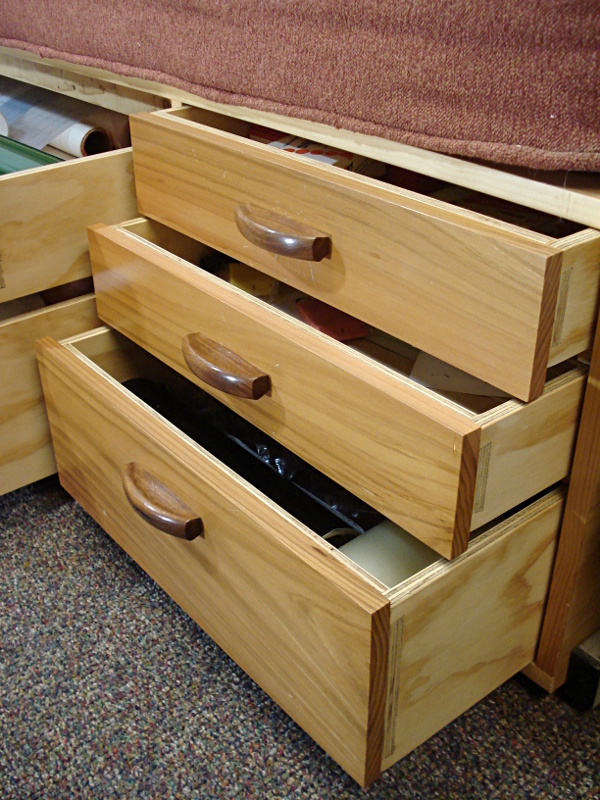 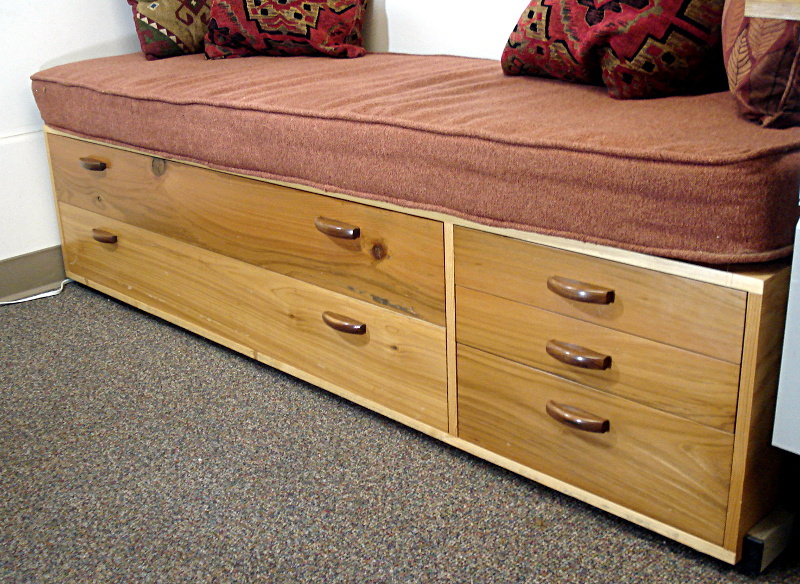 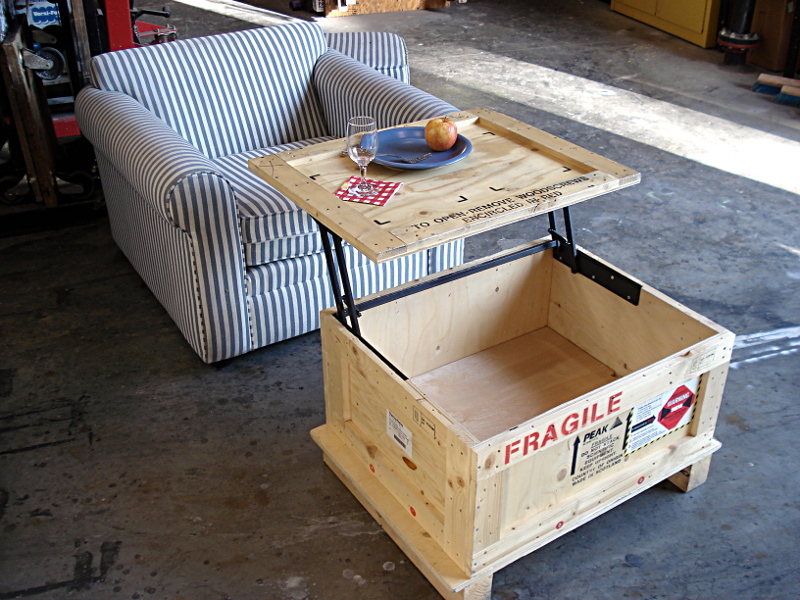 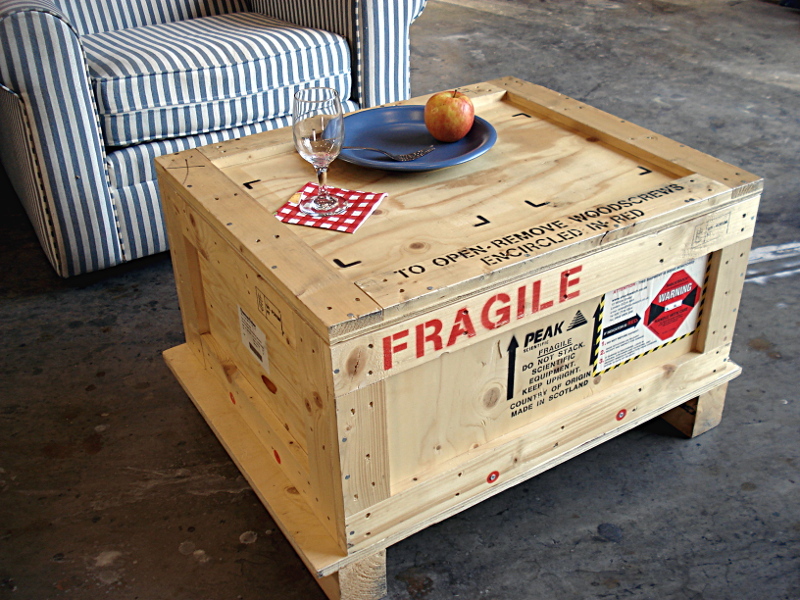 These ribbon tables are gifts using a design from Popular Woodworking Magazine. 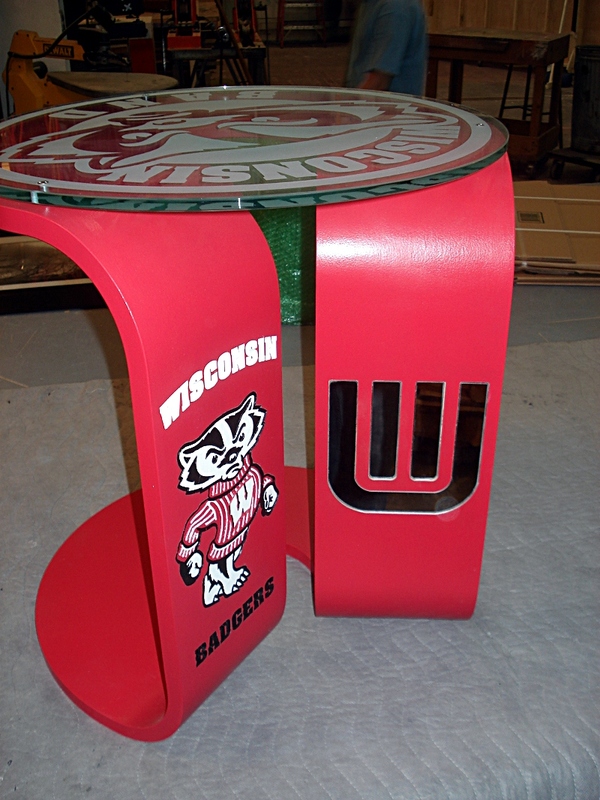 The Wisconsin Badger table features the mascot engraved in one leg and the Marching Band logo as a mirror insert in the other leg. 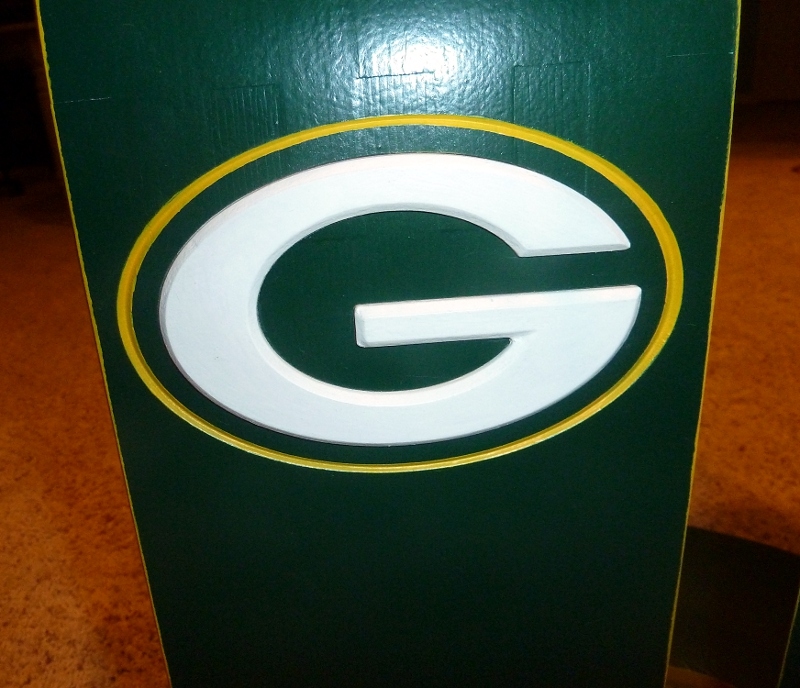 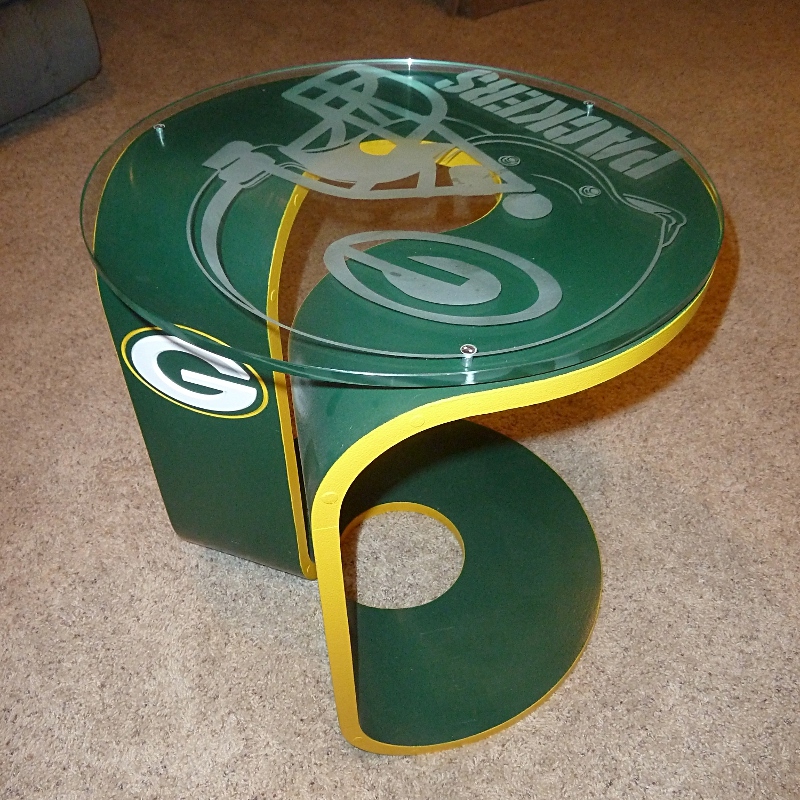 The Packers table has the “G” protruding from the surface. 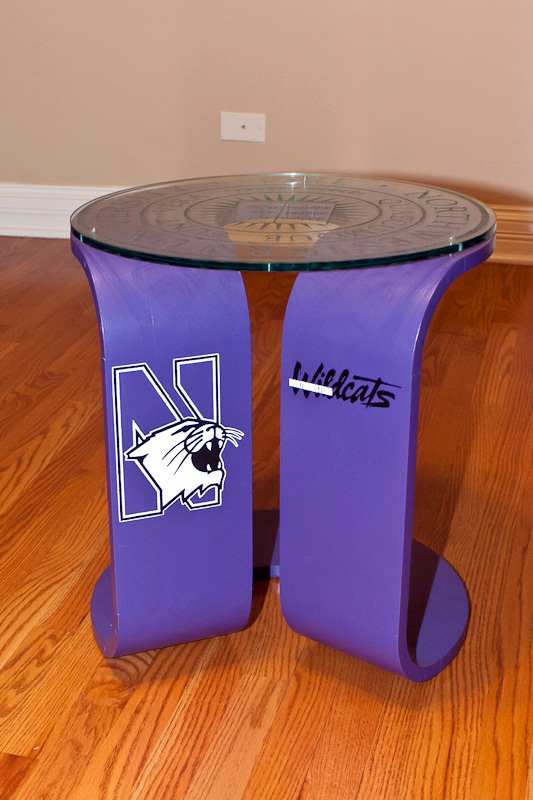 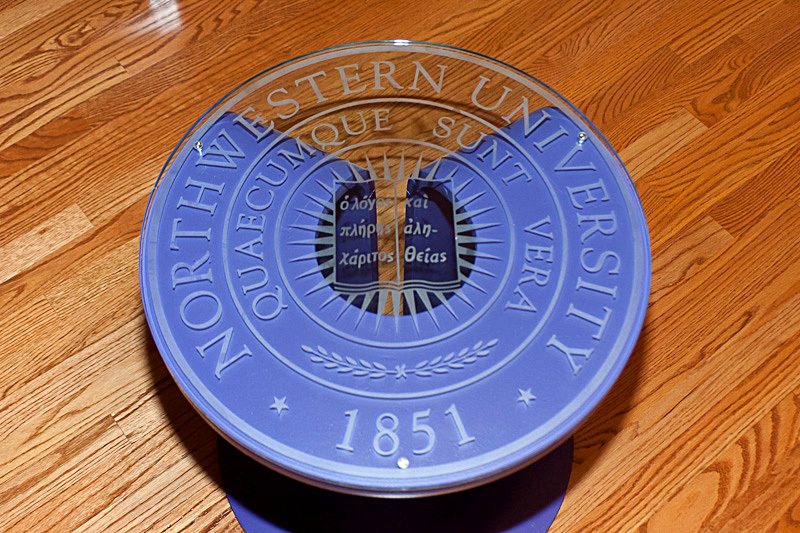 The Northwestern table Wildcat logo is engraved into the leg. 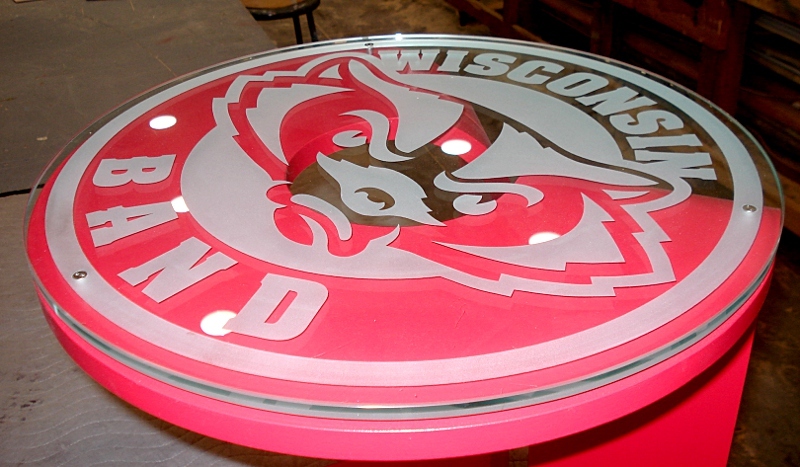 Each glass table top is frosted to a design according to the theme of each table. 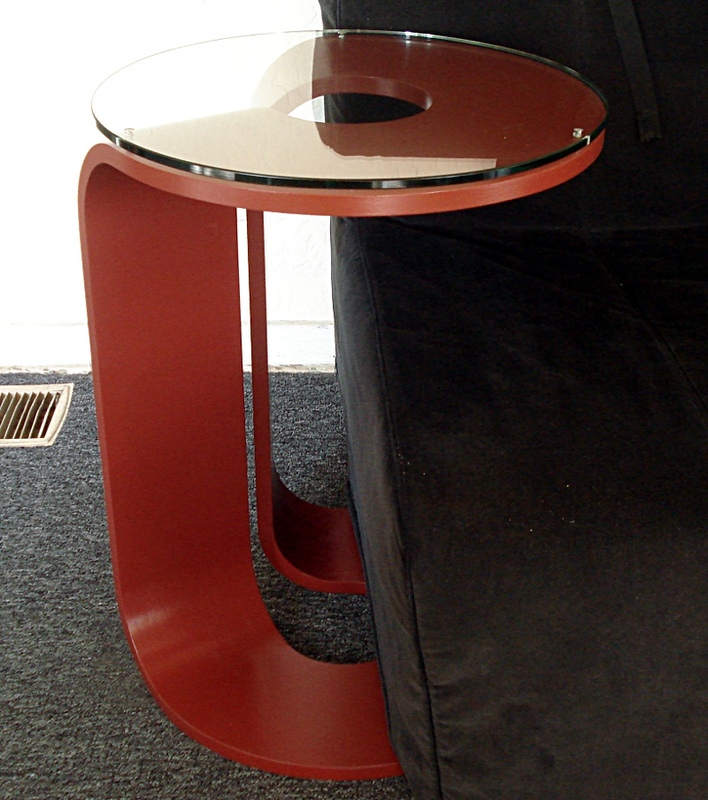 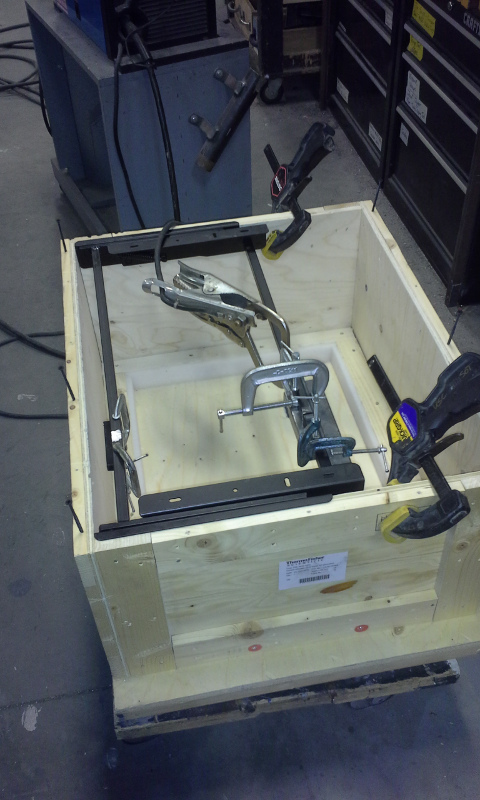 This entry was posted in Glass, Wood and tagged frosted, Modern, plywood, table on December 18, 2013 by Wiskow.